Another project has gotten the go-ahead following mediation between developer and activists by Supervisor Hillary Ronen and her staff. The project, 1726 Mission Street, plans to turn a former sausage factory near Duboce Avenue into 40 units of housing with a commercial ground floor. The activist group Our Mission No Eviction then appealed the project’s approval, putting it up for a vote at the Board of Supervisors. Rather than ask the Board to take an up-or-down vote on the project, however, Ronen was able to mediate the talks until the parties came to an agreement: The sponsor of the project, the LLC Sustainable Living and its managing member John Dennis, will make one more of the 40 units in the proposed building available for sale at below market rate. That brings the total number of units in the building deemed affordable from seven to eight, or 20 percent. Sustainable Living also agreed to lease the ground-floor space for light industrial purposes — often called Production, Distribution and Repair (PDR) — at below market rate for 10 years. There will also be a mural painted on the site visible to the street. With the appeal withdrawn, the Board of Supervisors voted unanimously last Tuesday to affirm the project’s approvals. Ronen has made a habit of stepping in as a mediator, sealing deals at 1515 South Van Ness Ave., 2675 Folsom St. and, more recently, 1850 Bryant St. Her staff, it seems, is also playing a key role. Legislative aide Amy Beinart joined the staff about a month ago with a focus on land use and housing, and jumped into the 1726 Mission St. negotiation. Beinart said these deals hinge on both parties being willing to budge, but also to focus on specific goals to move toward. In this case, Beinart said, the developer was willing to share his finances for the project and illustrate candidly where compromises could be made. It’s unclear which project will be the next to avoid an appeal. At the moment, Ronen’s office is monitoring the progress of several completely below-market-rate buildings — 1950 Mission St. (the site of a current Navigation Center) and 490 South Van Ness Ave. are among them. But with dozens of market-rate developments also proposed around the Mission, activists are likely to keep the pressure on developers to provide more community benefits. In fact, Weaver, though he admitted Ronen’s office has been efficient, is far from satisfied with the result of the negotiation. The deal was “the best we could get” without having to take on the expenses of pursuing opposition all the way through the Board of Supervisors appeal process, and then suing the developer if the appeal had failed with the Board, Weaver said. Some might consider 20 percent affordability, which is more than the roughly 17 percent minimum that was originally required by the city, a success — especially on a relatively small project. Weaver and other activists, however, measure in terms of the proportion of new buildings that will be rented or sold at market rate. The lost ground, then, is this project clocking in at five percent more market rate units proportionally than 1515 South Van Ness Ave. and 2675 Folsom St., two other projects approved after a deal was made. “The community is losing more than it’s gaining, and I think that’s the source of a great deal of frustration,” Weaver said. He said it won’t take very much longer before neighborhood activists decide to go whole hog and take a developer to court for, say, being out of compliance with the California Environmental Quality Act. 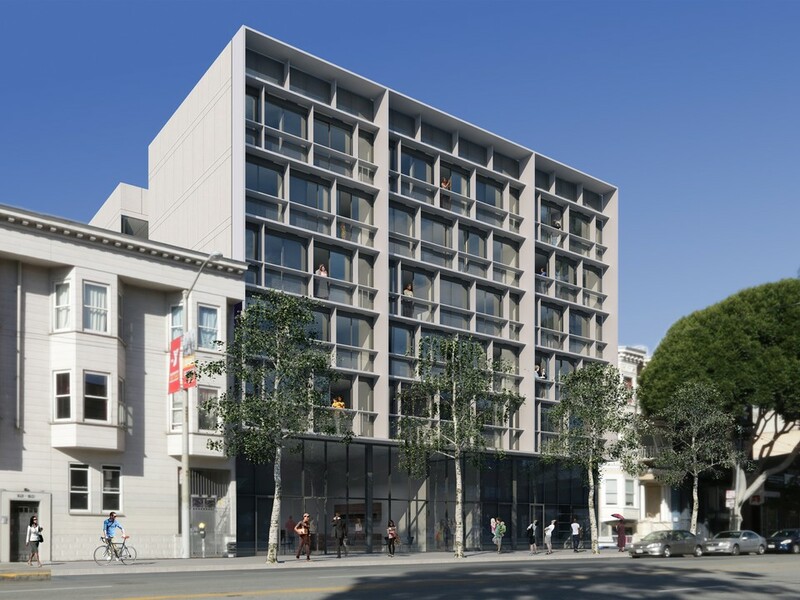 One group has already been projecting that message: The Plaza 16 Coalition, a vocal opponent of the 1979 Mission Project at 16th Street, has repeatedly vowed to reject any proposal on that site that is not entirely below-market-rate. A hearing date has not been set for the project, but opponents have already made a request to the Planning Commission that its hearing be held in the Mission District. It’s unclear whether that request will be granted. I see where Weaver’s heart is, but as a resident living at 15th and Mission, I cannot welcome any faster ANY new housing construction projects. Bring it on! Empty/closed up buildings are terrible for this neighborhood and we should be building faster to create more homes of everyone. Walk on Mission between Duboce and 16th: every single uninhabited building has either an encampment in front, or is a drug dealing location, or has prostitutes standing around (the last two of course are much more serious and problematic). I welcome and support these new construction projects provided they meet and hopefully exceed all those minimum requirements for BMR. Bravo … I applaud your support and echo it. We need more housing. I get that neighborhood activists want to put the genie back in the bottle when the Mission was predominantly Hispanic families, but that isn’t going to happen. Smart density is the best thing we can have, so I applaud what Hillary is doing to push developers to give as much as they can while still getting the deal done. Weaver just trying to line his pockets… ambulance chaser. Whatever happened to the plan to secure sites for affordable housing in the Mission? I want more housing in SF in general but also want the Mission to remain a working class neighborhood which cannot happen if 80% of new housing is luxury condos. This ‘Our Mission NO Eviction’ group wants to make it appear that they in fact speak for all residents of the Mission but that only those with multi-generational cred should decide the future of development … of any kind. Well guess what you DON’T speak for the entire population of the Mission, as a property owner I applaud the development or re-delopment and want to see more of it. Guess what property ownership is not a social safety net program, its an investment and one that ultimately one wants to benefit from either when you sell OR if you remain in the home for your lifetime and it is in fact paid off. If you’re so damned concerned about the Mission then do something about cleaning it up for eff’s sake. Have you seen the condition of 24th Street and Mission Street, its a frigging pig sty.